Hiring a professional to come out and handle bee swarm removal is an advised remedy for honey bee removal. Due to the valuable pollination service provided by bees, every effort is made to try to extract the colony and relocate them to an orchard or farm where their services can be used effectively. 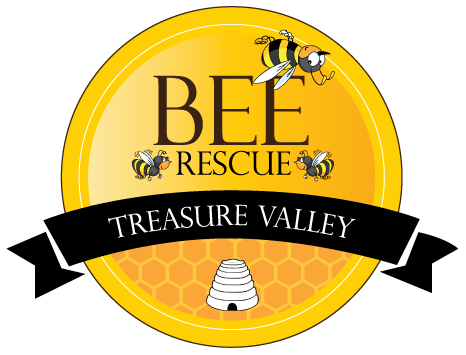 The professionals at Treasure Valley Bee Rescue are trained for wasp and bee control in the Treasure Valley. A swarm of bees in a tree. Is a gathering of bees that are taking up residence on a temporary basis while they are looking for a place to keep the hive or colony. Occurs just prior to the emergence of a new queen. The old queen will direct approximately half of the workers to follow her to seek out a new location. Moves together in an incredible cloud of bees which may consist of up to 40,000 bees. Trying to remove this many bees can be a daunting task for even an expert beekeeper. 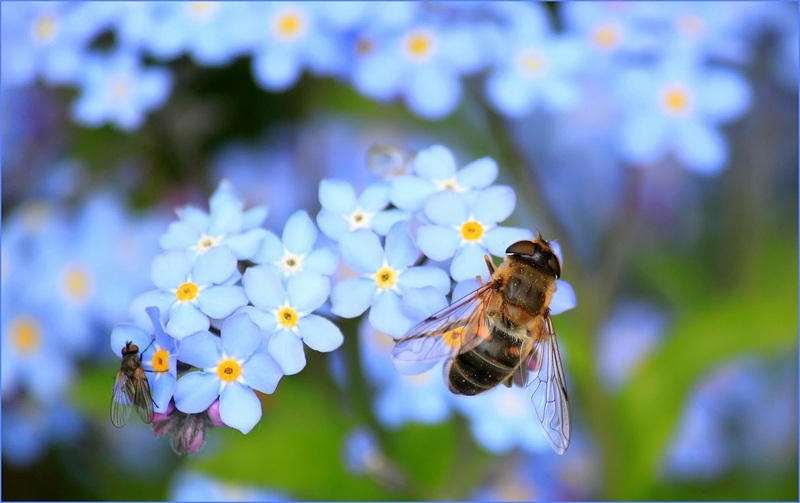 Honey bee on a forget-me-not. Non aggressive by nature, unless they are Africanized. One of the more aggressive winged insects. None of the bees in the Treasure Valley area have been Africanized because of our cold winters. With the impending decline of honey bee population, every effort is made to successfully recover bees when possible. 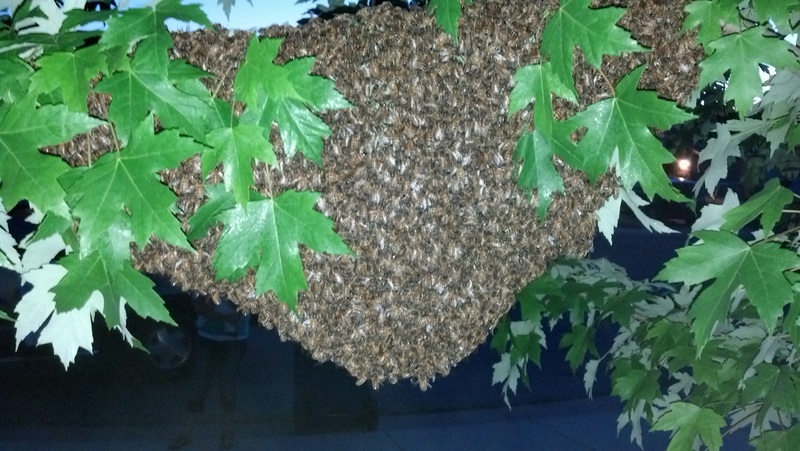 Bee swarm removal and wasp pest control in the Treasure Valley is best left to the professional to prevent harm to yourself or other living things in your home. 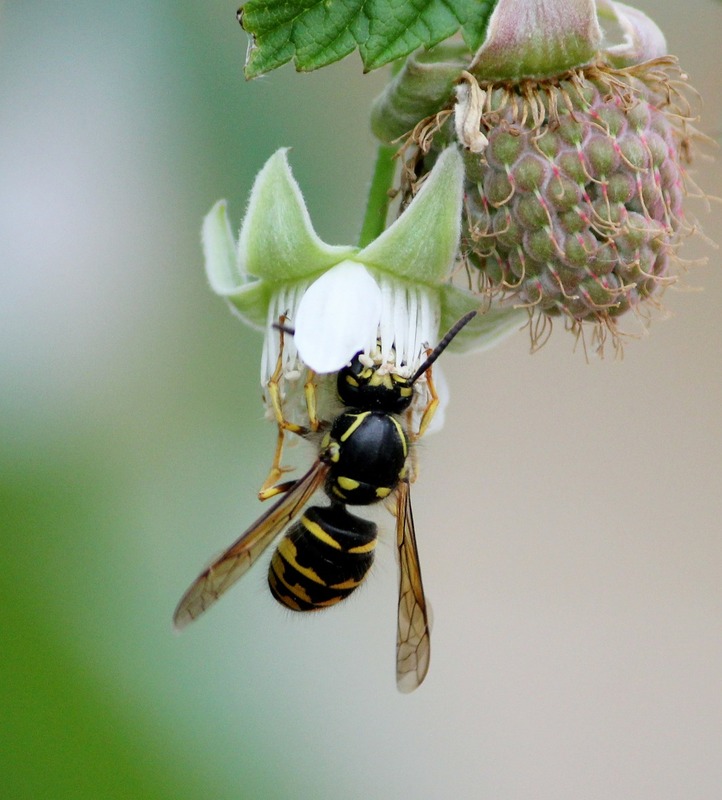 If you are faced with a problem of honey bees or wasps, and you are in the Treasure Valley area, do not hesitate to call Treasure Valley Bee Rescue. Our technicians are trained professional beekeepers. We will be able to get your situation under control quickly and effectively. Even if you are not certain that your insect situation requires attention, it is in your best interest to take a proactive approach and have it looked into. Treasure Valley Bee Rescue can be contacted at (208) 602-4881. We can come out and assess the situation then advise you of available options for quick eradication of the problem.